Hundreds of people plundered and burned down several Buddhist temples or vihara in Tanjung Balai, North Sumatra, on Friday evening. No fatalities or injuries occurred in the anarchic acts, which took place until early Saturday. It is estimated that the attacks have caused billions of rupiah in losses. The riots began when a 41-year-old of Chinese descent, only identified as Meliana, reprimanded an administrator of the Al Maksum Mosque to lower its microphone volume. Meliana had previously conveyed similar warnings to the administrator, hence, the mosque’s congregation members visited her house following her complaint for the umpteenth time on Friday evening. The meeting between Al Maksum congregation members and Meliana heated up, forcing Tanjung Balai Police officers to safeguard Meliana and her husband at the police station. Angry mobs continued to flock to Meliana’s house, however. Some had even attempted to burn down the house but it was prevented by people living in the neighbourhood. People who had been seized by emotion later moved to the Juanda Vihara, which is located approximately 500 meters from Meliana’s house. The police officer said that in the riot, the angry mob damaged and burned down several vihara and Chinese temples or pagoda. They comprised one vihara and three pagodas on Jl. Pantai Amor, one vihara on Jl. Imam Bonjol and one pagoda on Jl. Ade Irma. Onsite at the vihara and pagodas, the mob destroyed prayer equipment, Buddha statues, tables, chairs, lamps, and several cars and motorbikes. The police had been criticized for their absence during the attacks that affected one vihara and three pagodas on Jl. Pantai Amor, one vihara on Jl. Imam Bonjol and one pagoda on Jl. Ade Irma. The mob also destroyed prayer equipment, Buddha statues, tables, chairs, lamps and several cars and motorbikes. The police have arrested 11 people suspected of burning down several Buddhist and Chinese temples in Tanjung Balai, North Sumatra. Tanjung Balai Police spokesman Adj. Comr. Yani Sinulingga said the police had arrested four suspects on Sunday, in addition to seven who were already in police custody. However, we must mourn on Tanjung Balai’s riots because it has been shown our society are still fragile and an easy to be provoke victims. Ones is also learning us about we must push more intensifly the spirit of social tolerance among each other. Tanjung Balai’s riots has shown that the formal leader and traditional leader or prominent figure didn’t have a huge influence in their society. Besides, Tanjung Balai’s riots had been ashamed our nation. The history has been learnt us that without social tolerance among each other, we didn’t something inwhich we can proud on it. A history also telling to us, every countries which has not a social tolerance, its makes a country doesn’t stabile. Actually, negative sentiment has been trigered since 2005 after an intolerance groups has been shown their bad intention on responding land disputes for worship building between developer and an intolerance group who use the land as their organization base. However, SARA sentiment which is alleged to particular ethnic didn’t related with just only on social and economic sector, but on political sector at legislative election, presidential election and local election. Tanjung Balai’s riots has reflected from unintensifly dialogue through religious leader and social leader to calm down SARA issue, including unmanaged religious and social tolerance specialy in Tanjung Balai and generally in North Sumatera. Tanjung Balai and North Sumatera region has become as conflict zone because its heterogenities. Learning from Tanjung Balai’s social riots, Tanjung Balai’s residence and Indonesia should be remembered in history leason that a number of countries such as Balkan, Kashmir, Afganistan, Nigeria and Sudan had been destroyed because they were ignorance to maintain their pluralism and diversity. 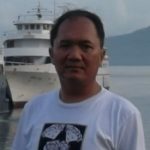 Essentially, Indonesia society must understand that the differences layer which is tightened through the words of Bhinneka Tunggal Ika, inwhich whatever differences among us, its should be declared as unity grip nor dispute trigger. Tanjai Balai’s case has been remembering us that sthe spirit of Bhinneka Tunggal Ika has been threatened in social media. Usually, the differences among us which used by vested interest group to destroying our unity and a creating social friction. *) Toni Ervianto is a social and political observer. Residing in Jakarta.